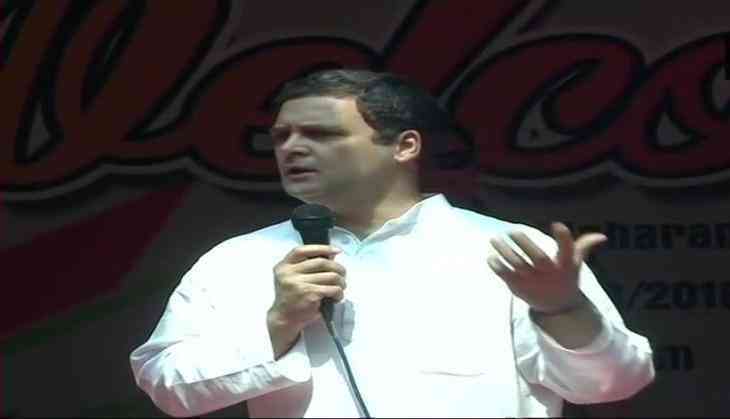 Coming down heavily on the policies of Narendra Modi-led government, Congress President Rahul Gandhi said that demonetization and Goods and Services Tax (GST) did massive damage to Indian economy and job creation. He was interacting with the students at Maharni’s Arts College for Women in Mysuru. “I think demonetisation was a mistake and should not have been done. Demonetization and GST were massive damage to the Indian economy and job creation. I have a problem with the way demonetisation was carried out, RBI governor, Chief Economic Advisor, Finance Minister, none of them knew of it. When I called Chidambaram, he called demonetisation insane,” said Gandhi. Earlier, Gandhi along with Karnataka Chief Minister Siddaramaiah visited Chamundeshwari Temple in Mysuru. With the assembly elections due in the coming months, the Congress party is struggling to retain power in the state while the BJP is eyeing to wrest the state from the Congress.